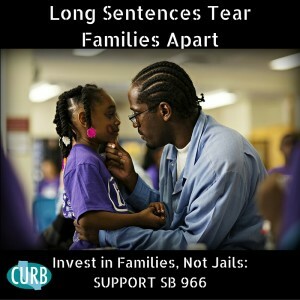 CURB is proud to co-sponsor SB 966 – the Repeal Ineffective Sentencing Enhancement Act – to reduce incarceration and free up funds to invest in communities. SB 966, introduced by Senator Holly Mitchell, would repeal the three-year sentence enhancement for prior drug convictions, with the exceptions of drug manufacturing and convictions involving a minor. The enhancement is applied consecutively — three years for every prior conviction for possession for sale, sale or similar drug offense to any person currently convicted for a similar offense. Check out Michelle Alexander’s Op-Ed in the LA Times about how SB 966 will stop sentence enhancements from destroying communities. With the amendments, the RISE Act passed through the Senate on June 2 with 22 votes! 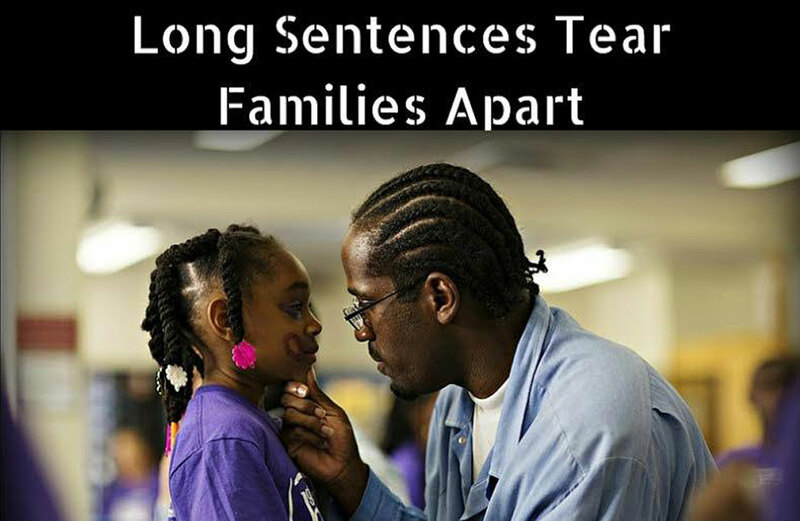 This would never have happened if it wasn’t for all the powerful organizations that have stood up to support this important sentencing reform. 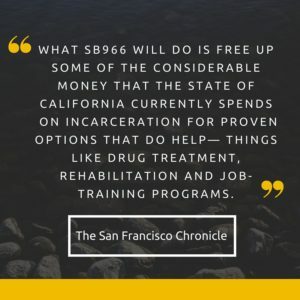 SB 966 is co-sponsored by: Californians United for a Responsible Budget, Drug Policy Alliance, The Ella Baker Center for Human Rights, The American Civil Liberties Union of California, and the Friends Committee on Legislation of California. SB 966 is currently in the Assembly Public Safety Committee, and we need your help now more than ever! Click HERE to fill out an easy online form to send a letter to the members of the Assembly Public Safety Committee in support of SB 966. Even better, call your Assemblymember (click here to find your representative)! Sample script: Hello, my name is [YOUR NAME] and I live in [YOUR CITY]. I am calling to urge your AYE vote on SB 966, authored by Senator Holly Mitchell, which would repeal the sentence enhancement for prior drug convictions. These punitive and destructive enhancements have resulted in sentencing thousands of people — mainly young men and women of color — to long periods of incarceration in overcrowded state prisons and county jails, destabilizing families and communities. Read the San Francisco Chronicle editorial board’s powerful plea for a change in heart for legislators hesitant to end failed policy. Share the Letter of Support and Fact Sheet. We have a growing list of organizations supporting the bill, but to win against the growing opposition from the law enforcement lobby we need all hands on deck. Please help us get more support on the bill, especially in those key districts!